Professional trainers in both public and private sectors of the economy have been urged to learn new approaches, exchange ideas and benchmark leading organisations in Learning and Development across the globe in order to meet the training needs and outcomes in today’s technological era. 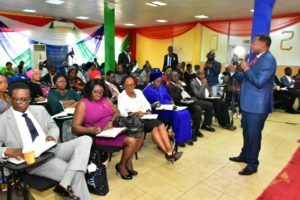 The Director-General of Lagos State Public Service Staff Development Centre, PSSDC, Dr. Senukon Ajose-Harrison gave the advice on Thursday at the maiden edition of 2019 Learning and Development Forum, organised by PSSDC, Magodo, Lagos. While noting that the objective of the forum was to create room for exchange of ideas, networking and benchmarking of world best practices among Learning and Development Practitioners acros the globe, he asserted that the acquisition of relevant modern knowledge was necessary for training experts to remain relevant in the 21st century. 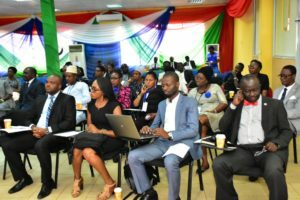 Ajose-Harrison explained that the essence of training programmes had gone beyond KSA – Knowledge, Skills and Ability, stressing that it has become essential for training professionals to be in sync with current technological demands. “Being compliant with the training demands of the 21st century implies that everybody must be smart and become smarter and even smartest because technology keeps advancing on a daily basis and as such we as trainers must not be caught off guard. 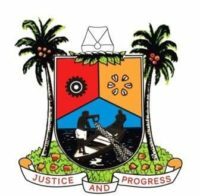 We don’t want the old situation, the new order is to follow 21st-century thinking, follow 21st-century act and follow 21st century doing”, Dr. Ajose-Harrison stated. The Director-General expressed the hope that at the end of the forum, the participants would have acquired new strategies and designed training needs analysis that would meet the specific needs of organisations and individuals, thereby influencing their training programmes to be more effective and purposeful. 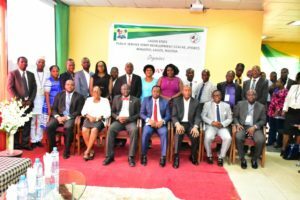 In his keynote address, the Registrar of Chartered Institute of Personnel Management in Nigeria, Mrs. Jibola Ponnle, represented at the event by the Director for Professional Development and Standards, CIPM, Lagos, Dr. Charles Ugwu, maintained that integrating the different trends in the 21st century has been a challenge for Learning and Development experts over the years. She said that the changing nature of the society itself makes it imperative to prepare training experts to keep pace with the changes in the learning and development world.